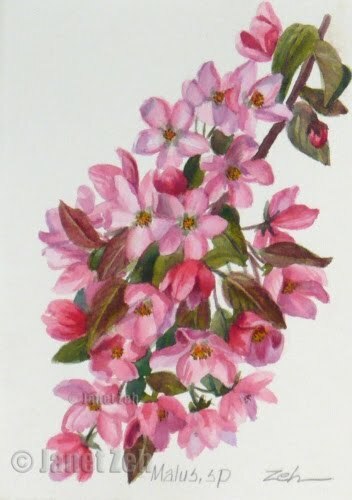 These beautiful blossoms are from my crabapple tree which is in bloom. If you like this painting, you can order a print or a painting. Just use the contact link in the sidebar or at the bottom of this page to contact me. Thanks and have a lovely day!